They say that breakfast is the most important meal of the day. Here at Quality Hotel Waterfront, we are proud of our breakfast buffet which includes lots of organic products. Work out at Quality Hotel Waterfront's modern gym. We have exercise machines for both fitness and strength, and other equipment to ensure a thorough workout. Our gym is located one floor down, next to our bar. Opening hours can vary during the summer months and on bank holiday weekends. Contact the hotel for our current opening hours. Bring your best friend along! Your pets are always welcome at Quality Hotel Waterfront for a fee of NOK 250 per visit. Please remember to tell us when you make your booking, so we can do our best to meet your needs. 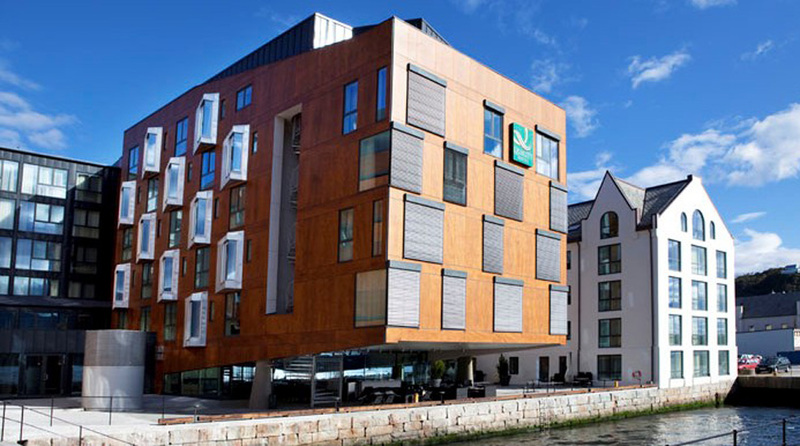 Guests can park at the Strandgaten parking facility, just 50 meters from the hotel (250 NOK/24h). You can also park at Torghallen, which is about 150 metres away on the same street as the hotel (fees apply). All hotel rooms and public areas at Quality Hotel Waterfront have free WiFi. Drop by reception for the access code or log in using your Nordic Choice Club membership number. It couldn't be easier!